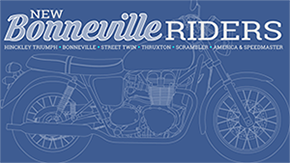 I ran across this very cool project and blog this weekend and just thought I would share it with all of you fellow Triumph Bonneville enthusiasts. 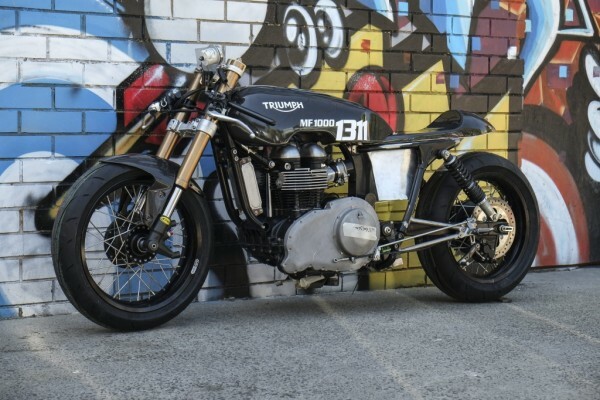 The project is called Triumph Salt Racer, and it consists of designing and building a modified 2008 Thruxton that they plan to run at Lake Gairdner in south Australia this year during DLRA Speedweek, 23rd – 27th March 2015. If you read the blog, you’ll learn lots of intersting things that can be done to a Bonneville, even if you don’t take it to the salt flats! 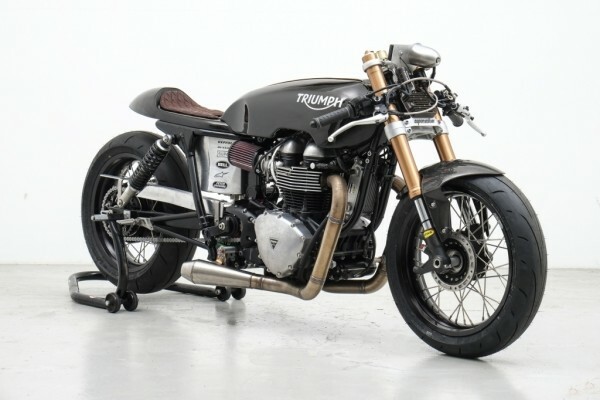 Triumph Salt Racer completed and ready to race. 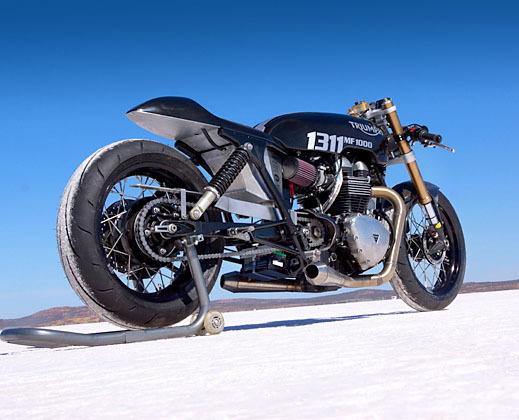 The Triumph Salt Racer was completed in time and taken to the Australian salt flats. Official top speed achieved was 157 MPH. When we’ve told people that our top speed was 157mph, some say ‘157! That’s only 57 more than the ton!’ But what they don’t get is that to set a record on the salt, the bike’s engine will be revving flat-out at top speed for 60 seconds. That’s a mammoth task for any bike, even ones as modified as ours. To recreate it, try this. Go outside. Start your bike. Run it at full throttle for 60 seconds. Let us know how that turns out for you.